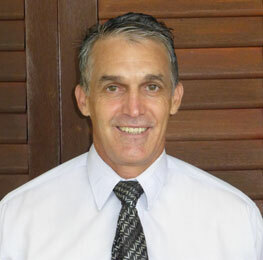 In an education career of more than 27 years, Brian Ambrosio has worked in a range of Australian and International Educational Institutions. Having graduated with a Bachelor of Applied Science (Physical Education & Math) from RMIT, Melbourne Australia, he was involved for 10 years as an educator in Australia as a teacher and leader. His permanent move to work abroad began at MEF International School, Istanbul where he became fully involved in the IB PYP/MYP programme followed by a role as the Assistant / Acting Principal at the American International School in Gaza, Gaza Strip. These experiences and challenges created a pathway to the corporate sector with WSP Environmental as a Learning & Development Coordinator / Leadership Coach in the Risk Management Field. The thesis for his Masters in Educational Administration (UNE, Armidale, NSW, Australia) focussed on strategic planning for International Schools in complex environments. His subsequent career pathway into education transformation projects began as an Education Advisor in government schools for the Abu Dhabi Education Council (ADEC) UAE, followed by a School Management Advisory post for Mosaica Education, also in the UAE. After leaving the UAE in 2011, Brian has been in Malaysia working on government school transformation projects at various levels with LeapEd Services. His current role as the Head of State Education Advisory Services involves leading system wide transformation initiatives at State, District & School levels in Kedah.